How Do Handicaps Work In Horse Racing? One of the most frequent questions we get asked here at EZ Horse Betting is how do handicaps work in horse racing? These types of races aren’t as popular today, but they are still good betting opportunities. Handicaps usually contain competitive fields of horses that make picking a winner more difficult. This means that the potential odds on your favorite horse can be higher. We’ve put together some basic information on how handicaps work. This information should help you understand the reason these races are ran and why they are so competitive. You’ll also learn why some horses in a handicap event are penalized by having to carry a higher weight. What is a Handicap Horse Race? A handicap is a horse race that is usually restricted to the most talented horses. Horses that compete in a handicap will have proven themselves against tough competition. In some cases a horse can pay an entry fee to participate in the race. In others an invitation must be issued by the host race track. Only 10 or so horses will make up the field in any handicap race. Once the horses have been entered in the event, the track handicapper will go about determining which horses have the best chance of winning. The most talented horses in the race will be forced to carry more weight than their rivals. This is done to level the playing field and give each horse an equal chance of winning. Some argue that the weight really doesn’t matter when a horse is gifted. After all, Seabiscuit once spotted his rivals 30 pounds in the Santa Anita Handicap and still finished second. Have you ever been part of a bowling league or a golf club? You will be assigned a handicap which is added or deducted from your score. This makes it possible for the league or club to have tournaments in which everyone can participate regardless of their talent level. A handicap in horse racing works on the same general principle. Who Assigns the Handicap in Horse Racing? Each race track has a track handicapper who is responsible for making the morning line on all races. The morning line creates a starting set of odds for a horse which are an estimation by the handicapper of what the horse’s betting line should be. Sometimes the handicapper gets its right, and sometimes they get it wrong. A track handicapper is human and therefore subject to human error. They must take the information for a race and attempt to make a decision the same way that you would. These individuals usually have vast experience, however, and can be very accurate. Sometimes the racing secretary at a race track will be tasked with assigning weights for a handicap. They will use a similar procedure to the track handicapper to determine which horses are most likely to win. Once again, the racing secretary will not get it right every time. Sometimes a horse that is less talented than its rivals may be assigned to carry more weight. Can I Bet a Handicap Race at an Online Racebook? The answer to this question is a resounding yes! All the online racebooks we recommend for you offer the entire race card from almost every track in the US and abroad. You can make bets on claiming events, stakes races, allowances, and handicaps all with your racebook account. The way to determine if a race is a handicap event is to check the past performances. 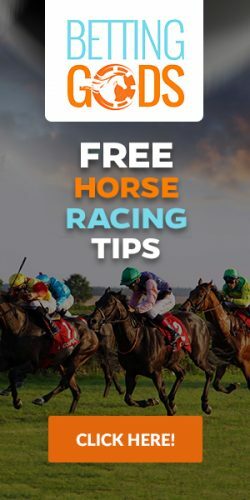 You can probably receive free PPs from the online racebook you choose. As you look over the day’s racing events, look for the word HANDICAP in the race’s description. Many races have this word as part of a formal name, like the aforementioned Santa Anita Handicap. They are easy to distinguish in the past performances. Most of these races will be the feature race on a card, meaning that they will occur near the end of the day. Now you know how handicaps work in horse racing. Isn’t it time to create that online racebook account? Signing up takes just a few minutes and you can bet from your computer, phone, or tablet. What is a racecard? What does C&D mean?